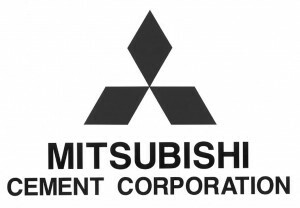 Welcome to the Mitsubishi Cement Corporation’s official website. We hope that you will find the site to be informative and educational. Mitsubishi Cement manufactures all of the major types of Portland and Specialty cement used in the California, Arizona, Nevada, and Utah markets. The Cushenbury plant is located on the rim of the Mojave Desert and has been an integral part of the community and its commerce since 1988. View the Community Section to see how we are involved! RDI Engineering offers a variety of services for the telecommunications industry. From highly effective project management to the latest in architecture, engineering and construction, RDI dedicates all resources to achieving maximum gain for their client. Each job is handled by a project manager with the experience, education, and skills needed to develop an individual service strategy to meet clients’ specific needs. JOA Group has established a reputation for reliable project management, visionary design and precise execution. Since 1997, we have provided project management services for an array of land, building and infrastructure projects in both public and private sector entities. Our firm operates in the leadership role and skillfully navigates projects through the development process. In this role, we facilitate, expedite and manage the planning, design and construction phases for our clients. Our commitment to your job starts when we sign the contract and doesn’t end until after your job is completed, often months after the last payment is made and the job is up and running. Simply put, we concentrate on maintaining construction crews led by experienced personnel well versed in a variety of cost-effective solutions to your underground utility needs. Our market is your market: Industrial/Commercial or Multi-Unit residential. We have the quality and quantity of personnel, machinery, and equipment to get your job done safely and with efficient, cost-effective dispatch: Pipeline Work, Joint Trenching, Directional Drilling, Pipe Ramming and Telecommunications. J&M Concrete Construction (aka Jezowski & Markel) is one of Southern California’s most distinguished site concrete contractors since 1953. We have had the opportunity to construct hundreds of the region’s most significant projects. Many of our exemplary concrete installations are represented in this website, so please enjoy. 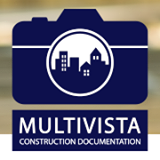 Multivista offers construction photography, video, and webcam services to construction professionals worldwide. Our web-based technology hosts all Multivista client photos, webcam feeds and videos in an intuitive online platform for easy access anytime, anywhere. dSantana Arquitectura is a full service Architectural Design and Construction Management firm specializing in Public Works programs, as well as, private development and residential projects. With over thirty years of professional experience in the design and construction industries, David A. Santana – AIA, LEED AP has a very diverse career, while participating on several iconic projects and programs. These projects include the 1984 International Summer Olympics, the renovation of the Hollywood Bowl, and the new school construction program for the Los Angeles Unified School District. An industry leader for more than 80 years, Balfour Beatty Construction US provides general contracting, at-risk construction management, and design-build services for a wide variety of markets, serving clients in both the public and private sectors. The company is the U.S. subsidiary of London-based Balfour Beatty plc (LSE: BBY), a leading international infrastructure group that finances, develops, builds and maintains complex building programs focused on social and commercial buildings, power and utility systems, and transportation. Consistently ranked among the nation’s largest building contractors, Balfour Beatty Construction Services US has been cited as a Top 10 Domestic Building Contractor and Top 10 Green Builder by Engineering News-Record. To learn more, visit www.balfourbeattyus.com or look for BalfourBeattyUS on Facebook, Twitter, and LinkedIn. Silverado Contractors is a union demolition contractor operating on the West Coast. Silverado provides a full spectrum of demolition services, including complete building and bridge removal as well as selective structural and interior demolition. At Silverado, we thrive on challenge. Silverado Contractors has the experience and resources necessary to meet any demolition challenge. Our satisfied clients will attest to our excellence and professionalism in the field. No matter what demolition challenges you face, Silverado is up to the task. Install and Repair, Ornamental Iron, Vinyl, Wood, Chain Link Fence, Gates, Bollards, Barb Wire. LAX Integrated Express Solutions (LINXS) is a fully integrated team comprised of Fluor, Balfour Beatty, ACS Infrastructure Development, Dragados USA, HOCHTIEF PPP Solutions, Flatiron, and Bombardier Transportation, and is further supported by an exceptional design team comprised of HDR and HNTB.